Setting yourself up for a productive week starts with a productive Sunday. I know it may not be what you want to do, but taking a couple hours on the weekend to prep for the week ahead will set you up for success no matter the area in your life and allow you to be more productive. Achieving your goals will be much easier if the foundation is laid ahead of time. 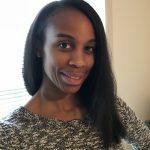 Here are a few Sunday habits I have found help make my week move smoothly allowing for greater productivity. While I don’t necessarily have to plan my outfits. I do have two little kids who are in school and daycare and being the OCD momma that I am, they need to have their outfits put together. The few times I have allowed my husband to pick out their outfits have caused me great anxiety. 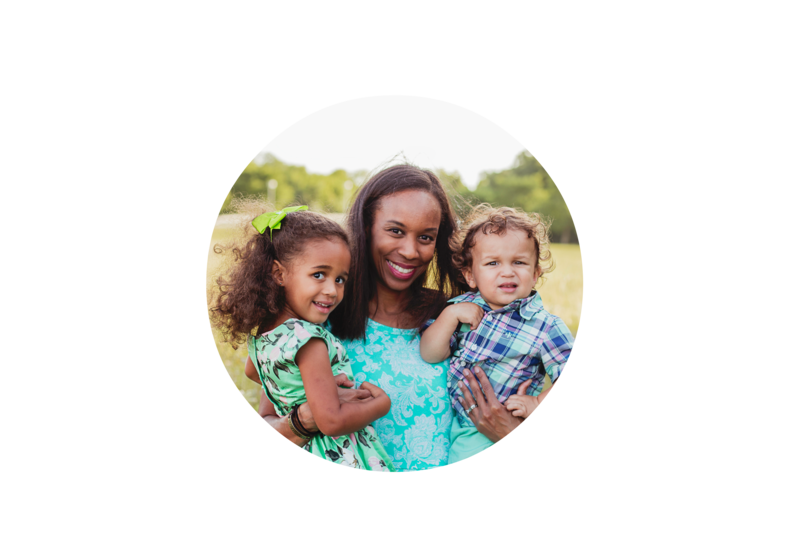 In order to not only prevent that but to make getting out of the house a smooth transition, I pick out five days worth of outfits for the kids. This way they are wearing an outfit that looks good and we have no fuss in the mornings. I also, set my uniforms out the night before to make sure every item is out and ready to go for the morning. Just like with clothes having your bags ready to go make for one less item to have to worry about. Helping in you getting out of the house faster. Every Sunday I pack a bag of weekly items for the kids and I remove anything I do not need for my bag and pack it up for work. I love planners. 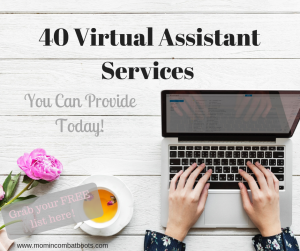 I have been using them for the last three years and have found them to be key in keeping me on track. 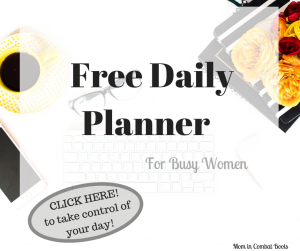 Whether you use a physical or digital planner take about 30 minutes to add any appointments or projects to your weekly schedule. 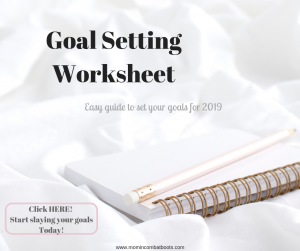 I also like to create a list of goals in my planner and break each goal into bite-sized chunks that I can work on daily. 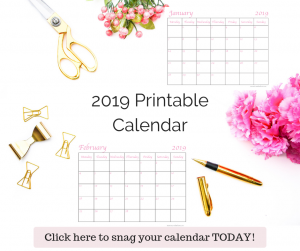 If you don’t have a planner but like to write down your weekly and monthly appointments and events, check out my Free 2019 printable calendar. I am more of a meal planner and have found this to help significantly. Every Saturday I choose meals, put together a list and place a Walmart pick up order that I will pick up Sunday. My weekly meals schedule template which I printed and placed inside a frame is where I write down my meals for each week. This helps keep everyone on the same page, and they know what to expect for dinner. I do like to prep my breakfast. I tend to miss that meal often and have found if I put together some overnight oatmeal mason jars I can just grab one, throw in fresh fruit and get a healthy breakfast in. So I prepare these on Sunday night. That is the extent of meal prepping. I have found full on meal prep takes so much time and I am exhausted by the end of it. I have heard some suggestions of prepping just the meats or cutting the vegetables ahead of time. Most of my meals take no more than 30 mins to cook so I don’t see a reason to do all the prepping over the weekend. I hate hate hate a dirty house. With young kids having a pristine clean house if pretty much impossible. While I clean throughout the week, because let’s be honest, my house is a mess within minutes of walking in the door, I do more organization and deeper clean on the weekends. Anyone else notices an increase in their stress when their house is a mess? Stress, anxiety, whatever that looks like for you, maintaining a clean and organized house can significantly decrease that stress or anxiety. I find that when I do not set up my week on Sundays I am scrambling to keep it all together during the week. 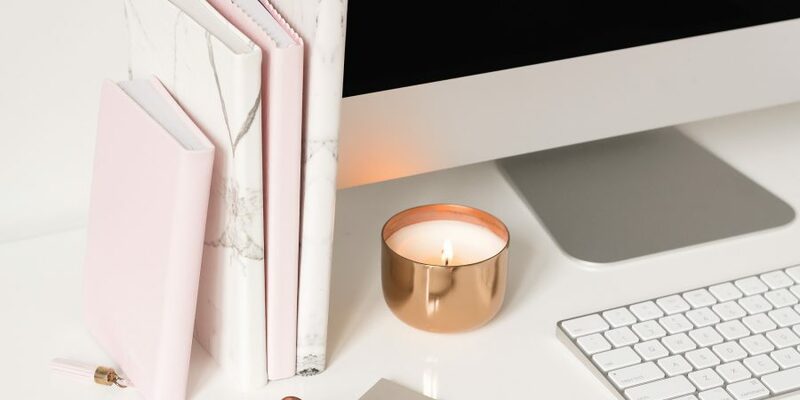 Preparing ahead of time ensures I have laid out all appointments and events and my kids are prepared as well for the week ahead – reducing the stress and setting us all up for a successful week. What are some of your tips for a productive week? I would love to hear in the comments! I usually organize my week and do some cleaning, I also love thinking ahead for my meals, thank you for sharing these tips. Yes, I try to do a quick clean before bed. I find that when I leave for work with a clean house my mood is significantly better. Oh yes, planning the kids clothes for the week stops the power struggle that we used to have often with my daughter on what she wanted to wear that day. This way she is able to choose her clothes and knows exactly what she will be wearing on what day. I definitely need to get a better schedule down like this! I feel like I am all over the place most of the time, but I also love to do stuff whenever I feel like it and not worry about missing things. I used to feel that way as well. I find when I write it all down in my planner where I can see it, my week is more predictable. And I can see where I have space to add other activities or where I need to decrease some of the work I am doing. I’m with you! 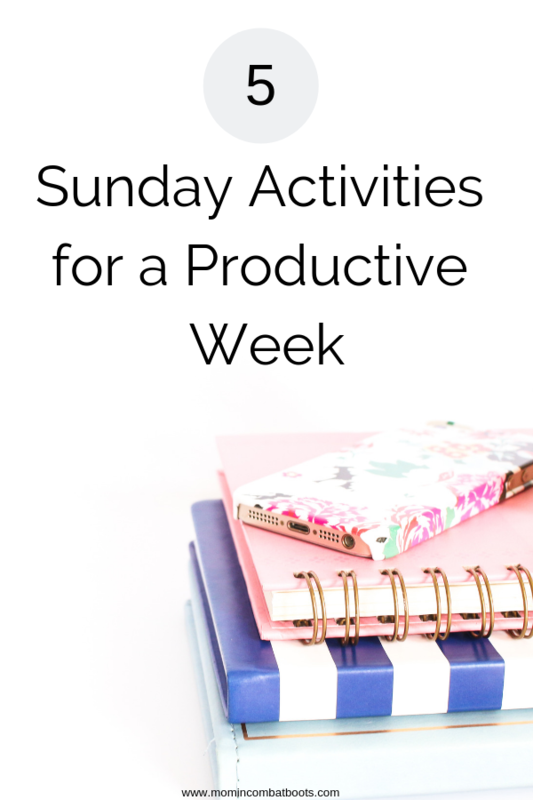 I try to prepare as much as possible on Sundays, to help ensure the week starts out organized and stress-free. Meal planning and getting laundry done have been crucial for me. Thanks for sharing! Completing my laundry is still a struggle. I tend to wash clothes and take a few days before I actually fold them. I hate folding. But I find when I get it all done and put away by Sunday night, I feel like weight is lifted off my week and I have more time to enjoy with family. I always try to clean the house and do the majority of the laundry on Sundays so we can start the week fresh! I do need to add a little more weekly planning to my day, though. Doesn’t it feel great to have it all done before the start of the week. It really helps reduce unessessary stress throughout the week. These are great tips! it’s amazing how much stress you can reduce by doing such small things! Thank you. I 100% agree. A huge ball of stress has been lifted from my week because I have been accomplishing these tasks on Sunday instead of randomly throughout the week. I struggle with Sunday activities. I’m going to make it a goal to implement one of these every Sunday. Meal planning/prepping is where I tend to procrastinate and I know it will save me a lot of time during the week. 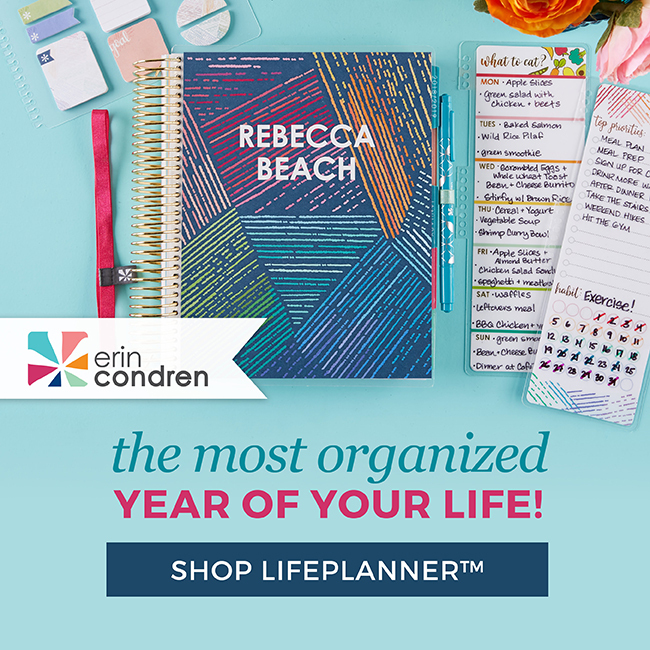 This post is a good reminder to get my life in order on Sundays. I’d love to hear how that goes for you. I feel so much more organized and less stressed! Yes! Every Sunday evening, I plan my week. Even if you just plan the first half of the week, you’ll have an idea of what is coming and what tasks you need to complete in the near future. Dang girl! You are one organized and put-together mama! I am trying to be better at meal prep. I tend to make healthier eating choices when I know what I am eating in advance. When I used to work full-time, I would always lay out my outfit the night before to eliminate the stress and time-wasting when I am half awake. Kudos to you for staying on top of it! Thanks Brandi! I agree, when you eat sporadically you eat whatever is easiest or quick and that’s not always the healthiest. I also find I spend a lot less money on groceries now! Fantastic tips! I have to have my house clean before the week starts or I am in a bad mood come Monday morning! I agree completly. When my house is a mess before I head to work, that is all I can think about throughout the day. Thanks Krissy. And yes it sets your week up for success.